Literally meaning four abodes or four seats, the Char Dham yatra in Uttarakhand is one of the most popular pilgrimages in Himalayan region of North India. In contrast to the actual Char Dham, comprising of Badrinath temple, Dwarka temple, Puri temple and Rameshwaram temple, the Char Dham Yatra in Uttarakhand is popularly known as Chota Char Dham and all the destinations of Chardham pilgrimage are located in Uttarakhand. These religious sites of Char Dham – Gangotri, Yamunotri, Kedarnath and Badrinath- are dedicated to different deities of Hindus. If you are embarking on this sacred Yatra this year, the following article will prove useful as an important guide to prepare for Char Dham Yatra 2019. Read on to find more about Char Dham Yatra and related tips. Widely known as the “Land of Gods”, the state of Uttarakhand is home to the sites constituting the Chota Char Dham. Located in the charming locations, the pilgrimage is traditionally carried from west to east in a circuit. Thus, the Yatra begins from Yamunotri temple, which is said to be the abode of Goddess Yamuna and the original source of the Yamuna River. 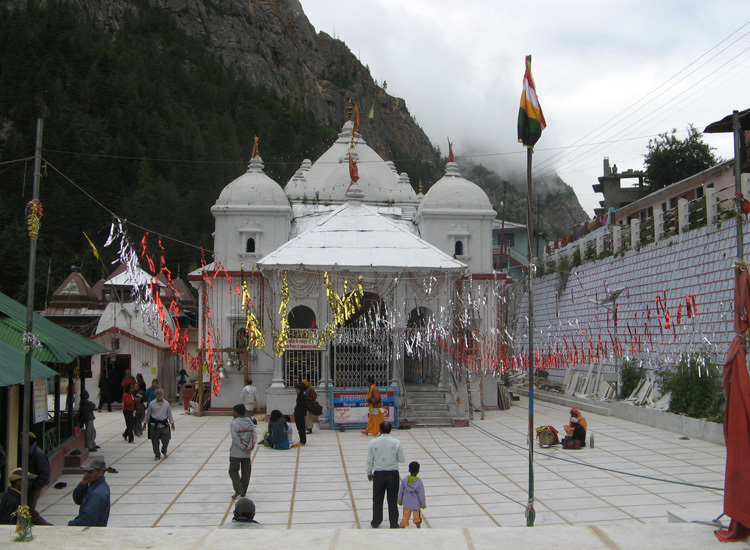 Next in the course is Gangotri temple, similarly dedicated to Goddess Ganga, with the site marked by a temple. Situated at a height of 3,048m, the temple was constructed by General Amar Singh Thapa of the Gurkha troops in the early 18th century. The holy river, known as Bhagirathi at the origin, has its source 19 km further up at Gaumukh. 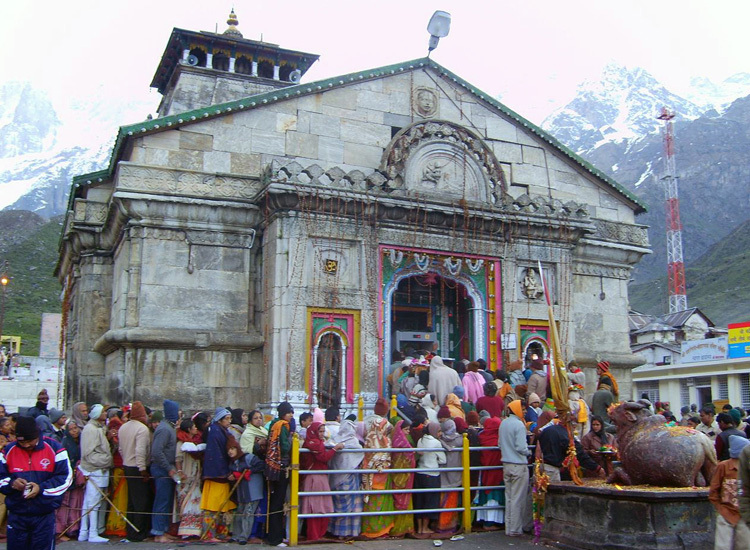 After Gangotri, devotees turn towards Kedarnath temple, the abode of Lord Shiva. The temple is situated near the shores of Mandakini River and is believed to have been built around 8th Century AD. Being situated at a height of 3,583 meters above sea level, the temple is one of the most difficult places to access. 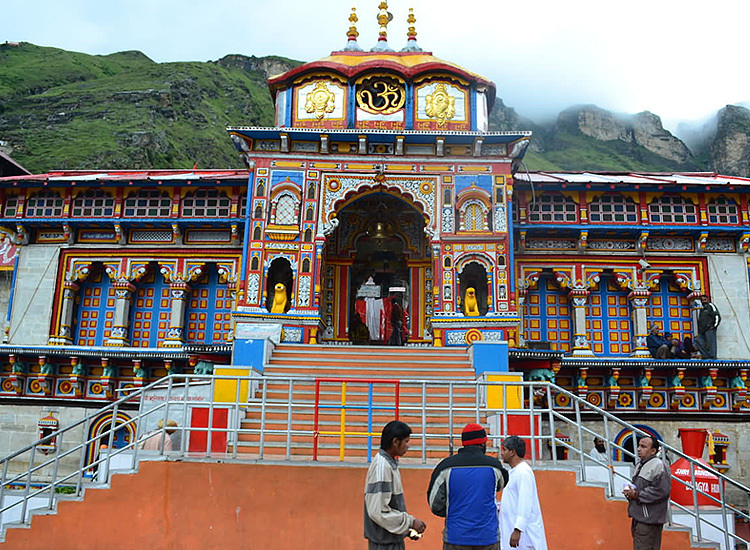 The last site of the Char Dham Yatra is Badrinath, dedicated to Lord Vishnu. It is believed to be the most important of the four sites, as the mention of this place is found in several Puranas as well as Hindu historical legends. All the major destinations of Chota Char Dham are accessible from Rishikesh. While Yamunotri, Kedarnath and Badrinath are located at a distance of 213 km and 298 km respectively from Rishikesh, Gangotri is situated at a distance of 105 kilometers from Uttarkashi. Char Dham Yatra can be undertaken either by road or by helicopter. It saves a lot of energy and time of the pilgrims. For example, a destination which takes days to cover can be accessed within hours. It is the most preferred travel medium for old, sick, infirm or pilgrims with a past history of sickness. Undertaking Yatra by helicopter affords you stunning views of the beautiful snow-clad hills and vales as well verdant greenery of the state of Uttarakhand. Char Dham Yatra by road is the traditional way of undertaking the pilgrimage. Along the way, pilgrims find a wonderful atmosphere of devotion and chanting, in addition to enjoying picturesque views scattered throughout the way. With time, the traditional route has been considerably improved by the authorities with lots of facilities along the way, thus making the Yatra as easy and comfortable for the majority of pilgrims as possible. In addition to the medicines prescribed by your doctor as per your individual needs, a Yatri should carry several other medicines and aid which might prove useful in case of emergencies for oneself as well as for other fellow pilgrims. Thus, one may carry analgesics like painkillers and antipyretic drugs like Paracetamol, Crocin etc., as well as any anti-allergy drug and Sorbitrate, which might prevent a heart-attack. Besides, a pilgrim should carry a First-Aid box, containing all the necessary items like bandage, ointments, Vicks and other similar items. There are some documents that one must keep handy at all time. Keep your identity card, your address proof as well as telephone numbers of your closest kin and friends in your pocket, which might be useful during an emergency. You must also not forget to keep the photocopies. Since all the temples are located at extremely cold locations, pilgrims must be equipped with sufficient warm clothing. Besides, pilgrims must carry with them, additional pieces of clothing like a muffler, a cap that covers both head and face (like a monkey cap), woolen gloves, additional pair of socks, trousers, body warmers, sweaters, sunglasses, windcheaters and jackets etc. Generally, Char Dham yatra is carried out from west to east in a circuit. Therefore, conventionally it begins from Yamunotri and is thereafter, taken to Gangotri, before finally finishing with Kedarnath and Badrinath. Aged devotees bring sacred waters of Yamuna and Ganga from their respective sources and use these as offerings to Kedareshwara. Make sure to carry sufficient woolen clothes, including thermal body warmers, sweaters, mufflers, caps that cover your head and face, trousers or any other form of clothing that protects against cold. Keep dry eatable like chocolates, sugar, candy, milk powder, assorted dry fruits, honey, lemons etc. to keep yourself adequately filled and full of energy. Always carry a filled water bottle with you to keep yourself sufficiently hydrated. Be careful while walking too near to the slopes as any small accident may push you down the valley, causing serious injury. Try to always stay near the hill side and walk slowly. As far as possible, hire an authorized pony-wallah and an authorized porter as they are available at per-determined rates by the authorities. Keep a tab on the ponies carrying your luggage to avoid any loss during the pilgrimage. The commands of the Yatra officer or in charge should be followed to avoid any hassle, danger or inconvenience during the pilgrimage. Make a medical/first aid box, carrying all the important medicines/prescribed medicines and other medical necessities like ointments, bandages, pain-killer tablets etc. and keep it by your side at all times as a precaution against any emergency. Although tap water is available at all places during your journey, make sure to drink only boiled/mineral water to avoid any water borne disease. Carry enough money with you to be used for your personal expenses, as well as for any emergencies. Always be ready and willing to help your co-devotees/co-pilgrims in need. Avoid any kind of littering, spitting or making your surroundings dirty during the pilgrimage. Always throw your trash in a dustbin and if you don’t find any keep the trash with you in a separate bag and throw it when you find the dustbin during your Yatra. Avoid wearing slippers as they can be dangerous and inconvenient on an uneven and rocky terrain. Wear comfortable shoes that keep you from getting tired and properly balance your feet, protecting you from slipping. Don’t overstrain and overtly challenge yourself at steep slides. Avoid taking rest at places which have been specifically barred from doing the same. Refrain from wearing heavy jewelry during your pilgrimage. Keep yourself light and easy as far as possible. Alcohol and non-vegetarian food is strictly banned during the pilgrimage. Avoid trekking during the rains as during this time there is a very high chance of landslides and slippery paths. Rishikesh is the main hub from where routes to all the four destinations of Char Dham are easily accessible. 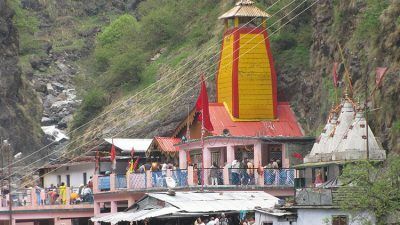 Though, traditionally, Char Dham pilgrimage begins from Yamunotri, pilgrims can access other temples in any order, once they reach Rishikesh. Thus, Rishikesh is the main point where Yatra can actually be called to begin. The closest airport is Jolly Grant, which is approximately 21 kilometers away. Flights from Delhi with operators from Spice Jet, Jet Airways and Air Indian ply through this airport daily. The airport is connected well by motorable roads to Rishikesh. Taxis are easily available. The nearest railway station is Haridwar, which is located at a distance of 25 kilometers from Rishikesh. Haridwar is well-connected through major rail networks to several important cities in Uttarakhand as well as places outside the state such as Delhi, Mumbai, Kolkata, Lucknow and Varanasi etc. One can take a bus or a taxi to Rishikesh which normally takes about 30-45 minutes to reach. Being a popular tourist destination, Rishikesh connects well to several towns and cities both within the state and outside. State, normal as well as luxury buses to Rishikesh are available from the Inter-State Terminus from Delhi. Moreover, other towns of Uttarakhand like Haridwar, Uttarkashi, Dehradun, Srinagar and Tehri etc. are linked well to Rishikesh through good motorable roads as well. The closing dates for all the four temples are yet to be announced by the authorities. All the temples of the Char Dham Yatra are located at high altitudes, and hence, it is normally very cold (most often sub-zero temperatures) in winters which makes trekking next to impossible. Moreover, the temples close during the winter season. Thus, Char Dham yatra is carried out mostly during the summer months i.e. from April to June when the weather is favorable for steep climbing and sightseeing; and also sometimes from late September to November, when the monsoon subsides and winter season is about to begin. As far as possible, rainy season should be avoided as roads and paths become slippery and the chances of the occurrence of landslides are high.